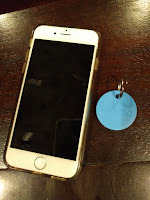 I was very pleased to get the opportunity to review the Chipolo Bluetooth Tracking Tag. Living in a household where many items get lost or misplaced, I figured a product like this will be extremely useful. Packaging was minimal, which I like, and included the key ring, instructions and one extra battery, as the battery is only rated for about 6 months depending upon device usage. The Chipolo tag is about the size of a half-dollar coin if you recall what those look like. The instructions were easily understood, however very difficult to read as they were printed in a medium grey typeface in what I guess is a 4 point font, way too small for my aging eyes. Although setup is pretty straightforward, it would be nice to have larger print instructions. There are a few settings that can be changed using the app. You can turn on or off the ability to have the tag make sounds when looking for it. 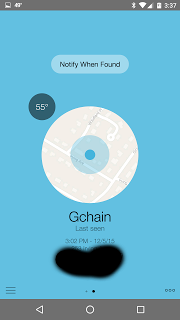 You can get notifications on your device when you are out of range or within range of the tag. And, pretty cool, it has the ability to locate the phone by shaking the tag itself. This will force the phone to ring, even if it is on silent mode. This is a great feature that works exactly as intended. The app displays temperature of the tag and indicates if the device is close or not. If the device is not close, you can tap to open a map of the last known location. This is useful as you can start walking (or driving) towards the last location and once you get close enough you can use the app to make the tag chime (up to 200 feet/60m away), making it easier to find. Although I did find this to be inconsistent, for example the tag is in the room next to me, yet the app is telling me its not in range. I had to to disable the setting that notifies you when you are out of range of the tag. It seemed to not work very well as when the tag was in my pocket, my phone would alert me for being out of range of the tag, when clearly my pants pocket is not that far from the other pocket that my phone was in. In addition, there is website that you can log into in order to locate the tag or your phone if you happen to misplace both at the same time. Hopefully you wont need this feature though, but its nice to have. One additional feature, that I really have mixed feelings about is the community. 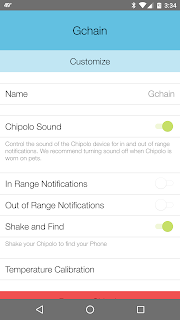 Essentially if you cant find your item using the maps for last known location, or using the chime to hear it, you can reach out to the Chipolo community. 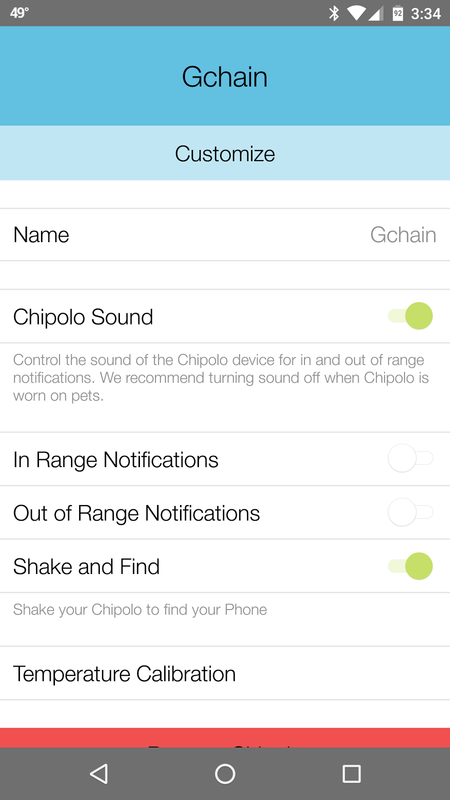 When your tag is not in range, the app offers an option to Notify When Found, which uses everyone's Chipolo app to look for it. They claim this is 100% private and others do not know when I am looking for something. It just notifies me when it finds the object using other's devices. I would then receive a notification and email with the location. There is one more feature, that I think is a bit odd. You can use the Chipolo app to capture the moment you find your lost object. Not sure what the purpose of including that is other than to gain some social media exposure of the tag. 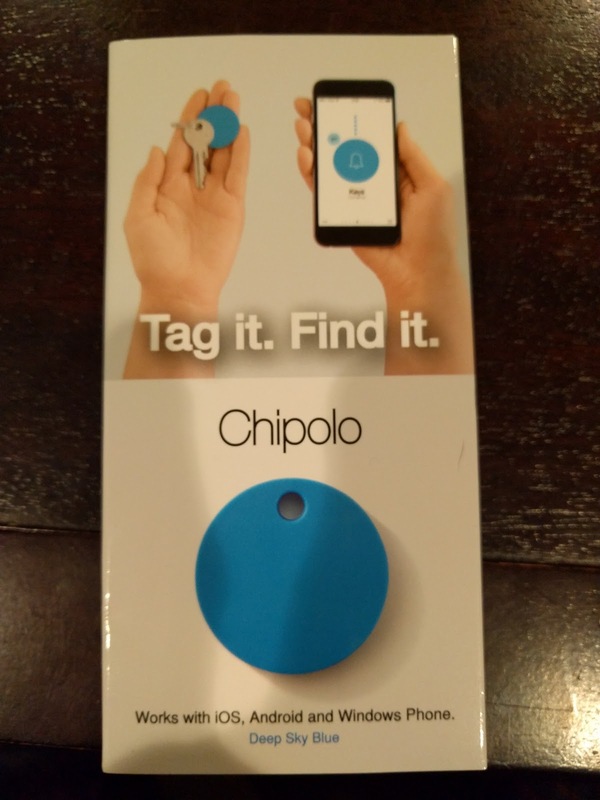 Overall I feel the Chipolo is a decent device, but some of the features being inconsistent make me uneasy to completely rely on this to find my lost objects. If you are interested in purchasing the Chipolo tag, please visit their online store here. Prices start at $29.95 for one, and go up from there. I am about to also receive another similar device to review and will do a comparison chart at that time. very glad to know about the Bluetooth tracking tag. you post very unique things that we are not aware of those. keep posting.